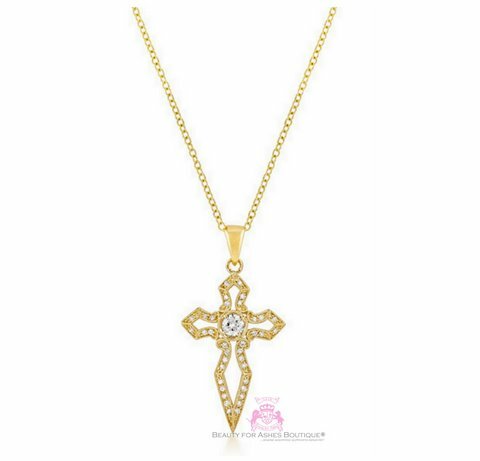 This special creation starts with clear Cz's and 14K gold plated cross shaped like a sword, and includes a gold bonded chain. Sword Cross measures 7/8 inches x 1 3/4 inches with the bale. Necklace measures 16 inches plus a 2.5 inch extension.